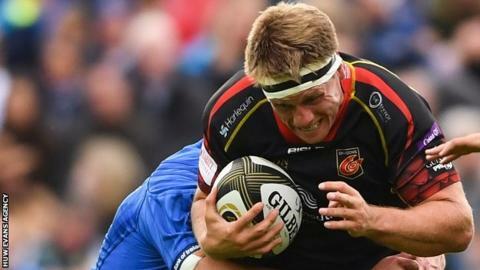 Dragons back row Nic Cudd will miss the rest of the season after suffering a knee injury in a training session. The 30-year-old ruptured an anterior cruciate ligament in his left knee and will undergo surgery. He joins a list of players including wing Ashton Hewitt and prop Aaron Jarvis who are likely to sit out the rest of the Pro14 season. It means interim coach Ceri Jones is without nearly 20% of his squad for the Pro14 match with Benetton. But there is better news on Ryan Bevington (concussion) and Brandon Nansen (hamstring), with both expected to return to action in March.